Can God Get Into YOUR Place? How many of our institutions have refused to allow God in? 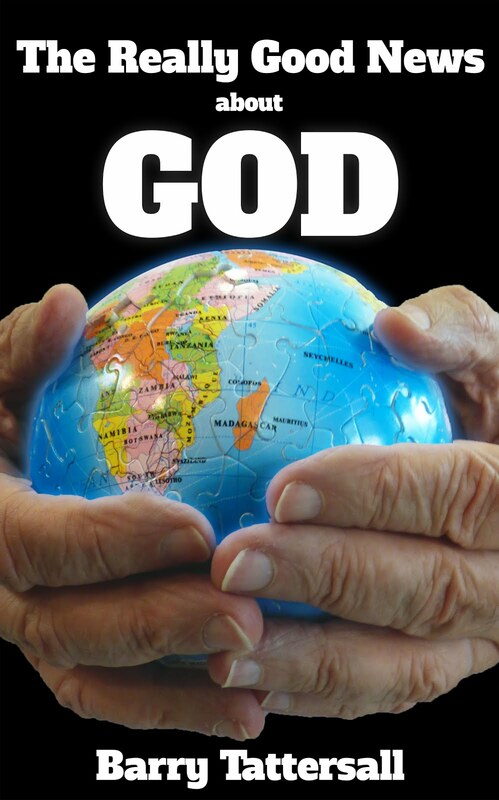 In Australia, our governments, councils, universities, schools, even most of our homes don't allow God in. What do you imagine would happen to our country if we DID let God in? What if all of us, in whatever setting we found ourselves, operated under the direction of Jesus, who urged us to love God and to love our neighbour as ourself? If we define "love" as wanting the best for others, and doing that best whenever possible, can you imagine what our society would look like with everyone wanting the best for everyone they work and live with? In the local news recently was the story of a man who, in noticing how bald two tyres were on a stranger's car, took the stranger and her car to a tyrestore and arranged for the tyres to be replaced. After he had paid almost $250 for the tyres and their fitting, he told the stranger that he never wanted to be repaid but, when she could afford to pay for the tyres herself, she should look for the opportunity to do a similar thing for another needy person. He then left her and she still does not know who her good Samaritan was or anything about him. Can you imagine how far that $250 might travel, if the lady did the same thing for another stranger, and that person did the same thing for another, and so on? How much love (wanting and doing the best for others) would be passed on over the course of a year or two? Now there are more ways of showing love than was demonstrated in this event, but the effect would be similar. Let's love God and want and do our best for Him. Let's love our neighbours and want and do our best for them. In my previous post "A Christmas Reflection", I made a plea for Christians to restore Jesus to his rightful place in their Christmas celebrations. Today, I am going to be bold and show how closely Santa resembles the diminished god of mainstream Christianity (dimGod) which gives a false understanding of the God of the Bible. Firstly, both Santa and the dimGod are mysterious characters from a long way away who make occasional, but regular, visits. Santa arrives on a date we have chosen each year, and the dimGod arrives when invited, often on a Sunday morning and occasionally when we need help. How often do church leaders ask dimGod (usually the Holy Spirit) in their opening prayers to join them for worship on Sunday mornings giving the strong impression that he only visits when invited rather than being present with us at all times? How often do church-goers ask dimGod to be with them in a trying or dangerous situation or to provide for them when in need, again indicating he only walks with them when invited and withholds his presence or help unless specifically asked to be involved? So how much more should New Testament followers of Jesus know that He is always with them, no matter where they are or what they are doing. The God of the Bible is a totally different person to the dimGod. We should be continually thanking Him for being with us rather than inviting Him to be with us. This gives us a better attitude toward Him and His promises, and gives us a far better understanding of being in the kingdom and always in the presence of the king. The second parallel, as mentioned in the previous post, Santa and dimGod keep lists of our good and bad deeds and then deliver appropriate consequences. KIds look forward to Santa's arrival, although with some trepidation. Eager for the presents he might bring on the one hand, but fearful of the possible judgement on their behaviour on the other. How similar is this to the reputation of the dimGod? It is almost universally thought, both in mainstream Christianity and the world in general, that dimGod does much the same as Santa. dimGod keeps a list of each person's deeds, indeed each person's thoughts, to assess their future rewards. The good go to heaven: the bad miss out on that reward and go to eternal torment in a place they call "hell" instead. And of course the big question on each person's mind in both settings is, "How do I know if I have been good enough?" The God of the Bible again is totally different to the dimGod. He is the Saviour of everyone, whether they have been good or not; whether they believe it or not. However believers of this good news have the joy and security of appreciating and experiencing its realisation in the present. Because the concept of Santa is usually introduced to children before they encounter the concept of God, the mysterious, white-bearded, occasionally-visiting, gift-bearing, judgemental Santa can easily become a template for a child's first impressions of God, especially when those impressions are reinforced by the image of the dimGod they eventually meet in church or Sunday School. We need to get a good grasp of God's nature as love, God's role as the Saviour of the world, and Jesus' work on the cross as completely reversing the work of Adam so that we can correctly convey the really good news of salvation to our children.